I’ve been thinking about value a lot lately. In marketing, and especially in marketing services (though not just services), value is an important concept. What has value to one person doesn’t have value to another. Understanding what constitutes value is important in being able to appeal to a particular client, and to understand what aspects of our services we need to promote. I love teaching value to my marketing training clients, because so many have never thought of themselves or their skills that way. Sometimes it can be a shock for them to learn that who they are doesn’t have intrinsic value to the client. Rather, it is what they do for that client that has value. Though of course, who they are contributes to that. I think that this is the same in real life, and especially life after infertility. Our perspectives determine what we define as success, and what we define as value. I look at some people I know. They’re worked hard all their lives, risen in the corporate world, but have they actually done anything of value? Single-minded pursuit of success can be an incredibly selfish thing, and can leave a lot of bodies in a person’s wake. Though not always. Still, maybe their corporation has an important product, or maybe by climbing the corporate ladder they’ve been able to mentor others, or provide their families and others with financial support. The value to me isn’t that they’ve become <insert title here>, but what they’ve done as they’ve reached those heady heights. I admire Bill Gates, not for establishing a hugely successful company and becoming a billionaire, but for what he is doing now, his approach towards eliminating malaria and other diseases, his humanity in action. I watched Survivor the other night. (Confession: I drafted this months ago!) I thought about Jeff whatshisname. He’s spent 20 years of his life overseeing egotistical people fighting for money, and selling that to the world. Some would say he’s successful. He's certainly rich. But would I want to spend my life that way? Has he provided value to the world doing that? You could argue he has provided entertainment for millions. But if he hadn’t, someone else would have filled the void. Maybe, by being a calm and sensible voice, he has role modelled appropriate behaviour. Maybe he’s used his wealth to make the world a better place. Or maybe not. My point is that his prominence and wealth don't on their own make him valuable. I guess it comes down to how we define success. In the same way, we can look at other people who are parents. When we are so often feeling less than, simply because we haven’t brought another being into the world, or raised another being when their parents couldn’t, I find it can be useful to think about life this way. I’m not trying to diminish the role of parents, simply put it in perspective. Now, some people will assume that if you’re a parent, by creating another person you are contributing enormously to the world. Others would say that it’s not simply a numbers game, positive or negative. But is being a parent inherently valuable? It depends on a huge range of factors. Whilst I try not to judge, I think to an extent it is inevitable. We respect some people, and not others. That's human nature, even if we're trying not to be judgemental. In doing this, though, I wish our societies assigned value based on how much better a person will leave the world. On who they’ve helped. On whether they have been selfish, or not. On whether they’ve been kind. On their values. Not just on whether they have been a parent. Or not. 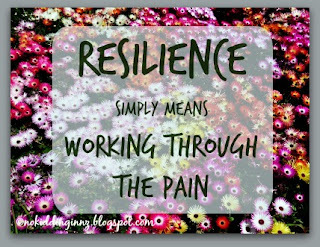 I've realised over time that much of what I write about here is resilience - learning what it is, how to develop it, how to use it now I recognise what helps and what doesn't. Jjiraffe at Too Many Fish to Fry has written a lovely post about resilience here, and I urge you to go and check it out. As I was reading her post and the comments, my first reaction* was that I didn't realise I was developing resilience, as both through my ectopics, and when dealing with the loss of any possibility of having children, I felt alone, lost, and weak - anything but resilient. I had no idea what to do, how to grieve, or how to behave, so I was flying blind. But as I look back, I realise that some of the things that came naturally to me were examples of resilience. Other things I had to learn, over time and through trial and error. Ultimately, I think the most important lesson is that resilience doesn't mean not experiencing pain, avoiding our emotions or situations, or not being able to feel what we feel. Instead, I believe that it means working through them and looking to a positive future. 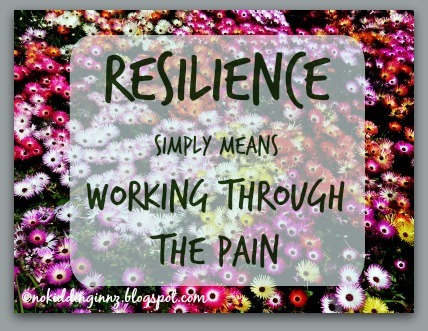 * Other thoughts on resilience may follow. Twelve years ago yesterday (or today if you’re in the US), my efforts to become a parent came to a screeching halt. I’ve written about that before here. I didn’t think about it until late yesterday afternoon, and when I did, it was just to mark the moment. It made me think though. Twelve years on from that day, almost thirteen and fourteen years respectively from my ectopic pregnancies, and years before that since we started trying to get pregnant, I am writing and thinking about life without children. I almost wrote “still writing and thinking” but by use of the word “still” it implies that thinking about our lives without children is something that has or should have an end date. I don’t believe that is true. I have friends who weren’t able to have children, and who never went down the forum or blogging routes. We rarely talk about our lives without children. We simply talk about life. But just because we don’t talk about it, just because they don’t write about it (as far as I am aware) or advocate for people without children, I can’t say that they don’t think about their lives. Just because I write in public – even if under an easily broken pseudonym – it doesn’t mean that my thoughts about our lives are any deeper or more detailed or different. The truth is though that, here at least, I have actively identified as a woman without children. I don’t do that through pain (any more) or bitterness. I like to think I do it for advocacy, to join my voice with that of others, to help other women without children to feel less alone. Maybe too we help friends and family to understand what their loved ones are going through. Maybe my experience might help others to believe they’ll be okay, and maybe it will help them to move through the grief, up into the sun. I write openly and as honestly as I can. I try not to kid myself, or you, that life is anything but the way it is. I try to keep this a no kidding zone. Ultimately though, I would like to be able to help those who don’t give a passing thought to us to stop, think, and understand what life is like for the 1 in 5 women who will not be mothers. I’m working towards that. That’s why, 12 years later, I am still writing and talking and thinking about leading a no kidding life. When I saw this quote, I realised that it explains so much of the pain of those of us who can't have children - especially in the early days. If we believe that we are unworthy, then it is easier to think that others also see us this way. 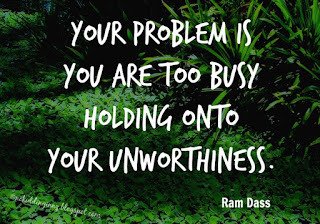 Holding onto our unworthiness just invites pain and judgement in, yet it is hard to let go, to be kind to ourselves, to stop judging. 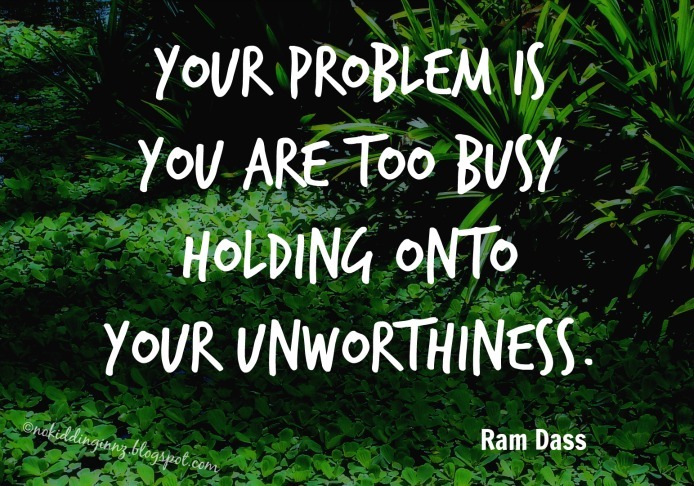 Once we stop believing in our unworthiness, it doesn't matter what others think about us. We know, deep in our hearts, that worth or lack of worth has nothing to do with whether or not we could have children, whether or not we are parents. Realising this, believing it, lifts a burden and liberates us - from our own judgement, and from that of others. 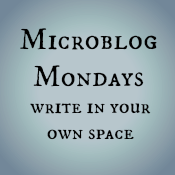 Some #MicroblogMondays, I am at a complete loss about what to post. I might just have written a long post only a few days earlier. I might have had a brainwave in the weekend about what to write about, and then promptly forgotten it. I might have too much to say, and feel limited by eight sentences. Or, like today, I might simply feel devoid of inspiration, having had a late night, an early morning, and spent much of the afternoon arranging a long weekend away with my husband. 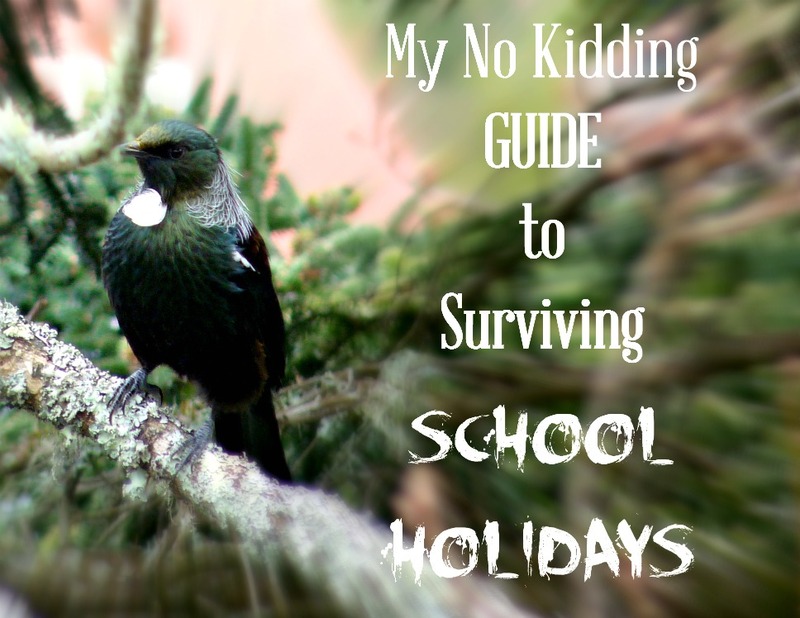 Late September/early October sees school holidays come around again here in New Zealand. In my No Kidding life, this can creep up on me. Suddenly, I'm assailed by people and noise. Though I can tolerate people and children and noise, if I don't have to, I prefer to avoid them. After all, I am accustomed to a much more peaceful environment! Besides, even though the sight of children does not upset me these days, being surrounded by boisterous families can make me feel isolated, and I prefer to flee home or to a favourite, safe environment. I am fully aware that frazzled parents can't do this, and face many more challenges to surviving school holidays. Still, this isn't a blog that addresses their issues - it addresses mine. So here are my tips to surviving school holidays relatively stress free. Don’t travel. The planes, trains, ferries, roads, and airports will be clogged with families on holiday, accommodation will be harder to find, and prices will be higher. Stay in Wellington and drive to work. There’s no traffic – the streets are clear in the morning, travel times are dramatically reduced – through a combination of parents not driving their children to school in the mornings, and the absence of parents as they take a week or more off work to get out of town with their kids. Go to the gym. Unless it has playgrounds or childcare facilities, it will be empty. Even the spinning class was cancelled this week due to lack of interest. Avoid the Malls and cinemas and museums (especially Te Papa), like the plague. If you must go to the movies, then go to Lighthouse cinemas, or the Penthouse, or another of the boutique, art house style theatres. Do not go to see a blockbuster in the middle of the day - you will regret it! I'm sure you can wait two weeks to see it. Choose your coffee venues carefully. The CBD is usually a safe bet, but beware that in the holidays, there will be families and children in town. Think about the nature of the café and its surrounding environment. Miramar’s new Park Kitchen is sleek and modern, and was quiet late last week. The entire Khandallah Village was empty this morning – the usual yoga mums are all off ski-ing or in the Pacific, the nannies have the week off, and the café was peaceful. However, I doubt it was the same just down the road at the more child-friendly Ngaio café. Beach Babylon in Oriental Bay never has many children, and didn’t this week either, but I didn’t even attempt to go to the Tugboat Café, just a few hundred metres up the road, situated as it is next to a small sheltered beach and playground. Go get a massage or facial or both. Serenity guaranteed. Alcohol. Go out for a drink instead of a coffee or lunch, revelling in your freedom, and making the most of these lighter evenings. But if you have a visit from an out-of-town child, disregard all the advice above, and head to the zoos, malls, cinemas, Te Papa, and cafés with playgrounds, bake cupcakes and build forts inside or out, play “spot the tui,” and have your first ice-cream of the season. And enjoy! Don’t feel guilty that you can enjoy your peace and serenity, whether it’s the less stressful commute to town, or the quiet café, or the calm, quiet house after guests have gone. Please feel free to add your own tips in the comments! It might have been when I was lost in Bangkok when I was 17, and knew that I had no choice but to find my own way to my destination, and back to my house across the city. Or was it a year later, after my second term at university, when I was able to pay all my own bills, and never again needed to rely on my parents financially? Or was it several years later, when my mother had cancer, and for the first time I felt the switch of the care-giving relationship? Or maybe it was a few more years on (still not yet 30), when I first represented my country at an official international meeting in Vietnam, sitting behind the New Zealand flag (and between Netherlands and Norway – my friends Ron and Knut – ensuring we always had fun at those talks), reading a statement I had written on behalf of my government. I understand that having children means you are wholly responsible for another human being, and that awareness of this can be overwhelming, but surely for most people, it isn’t the first time they realise they are grown up?